Candle crafts techniques can set the mood for any occasion. In the world of high-tech, candles will provide an atmosphere of romance, relaxation and inspiration that you cannot get with any other medium. The basic techniques of candle making are very simple and easily learned. Once you acquire the basic skills you can move on to your very own creations. Everyone loves candles and there is nothing better than receiving a handcrafted candle made with loving hands. If your first attempt is not what you like, all you have to do is simply melt the wax down and try again. 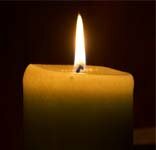 Candle making is not difficult and with each candle you make you will find you are getting better and better. Just enjoy yourself working with wax, scents and color and you can create your own candles! There are so many ways to embellish your candles now. You can even buy plain candles and make them into a work of art. If you do arts and crafts you can incorporate some of your techniques into your candle crafts. There are many ways to use candle crafts techniques. If you have dinner parties you can put floating candles with fresh flowers in a beautiful crystal bowl. Just imagine that warm and cozy winter evening with candles flickering away. Also think about your patio with candles flickering in pots that turns the night into magic. You can also recycle your burnt out candles and make beautiful floating candles. They are so easy to make and don't cost you very much. A few candle techniques can be accomplished buy just adding some dried flowers, stencling or even hand painting them. You can make beautiful candle holders out of just about anything. Just use your imagination. You can scent and color your candle wax for whatever your occasion. The basic techniques of candle making are very simple and easily learned. Once you acquire the basic skills you can move on to your very own creations. Everyone loves candles and there is nothing better than receiving a handcrafted candle made with loving hands. If you have any questions or candle craft ideas please contact me and I will add it to my site. There are many candle crafts ideas below so have fun looking around. Vibrant Candle Colors. Candle colors can be the success or failure of your candles. Candle Making Equipment. Candle making equipment can be very inexpensive and readily available. Candle Wax. Candle wax comes in many different types for all your candle making needs.